Mexico took me by surprise in many ways. After spending a month in Chiang Mai, Thailand, I was looking forward to heading somewhere with a language I could (half) understand and a culture slightly more similar to my own. Only it took me a while to adjust. I’m not sure if it was the crazy long flight – where we even went back in time and then forward again! – the elevation of Mexico city or just the huge cultural change of going from South East Asia to Latin America, but it took me a week or so to feel settled there. Mexico is a truly incredible country and I can’t wait to go back there and see even more of it, but it’s definitely a country you want to be prepared for. If you’re planning your first trip to Mexico, here are some travel tips to help you make the most of your time there. One of the best things about Mexico is that is has something for everyone. Whatever your interests and whatever type of holiday you prefer, you can be sure to find it in Mexico. The one thing I didn’t include was a trip to Teotihuacan because I was feeling unwell the day we went, but you can find everything you need to know in this post. If you prefer a beach holiday, the usual Mexican tourist destinations like Cancun and Playa del Carmen aren’t your only options. For somewhere a little less busy, head to the Oaxacan seaside town of Puerto Escondido. Puerto Escondido is a popular spot with surfers and digital nomads, and has plenty of luxury resorts for very affordable prices. Check out this Puerto Escondido travel guide for a more in-depth look at everything this cute Mexican town has to offer. If food is your favourite thing about travel (yep, I’m with you on that one! ), then Oaxaca City should be on your list of places to visit in Mexico. The capital of the Oaxaca is a vibrant city of colourful houses, incredible street food and super friendly locals, as well as possibly the best food in Mexico. If I were to live in Mexico, it would almost definitely be Oaxaca. For something a little more adventurous, head straight to the state of Chiapas. Bordering Guatemala, it’s a lot more remote and sparser than most parts of Mexico, but there’s a lot to explore. 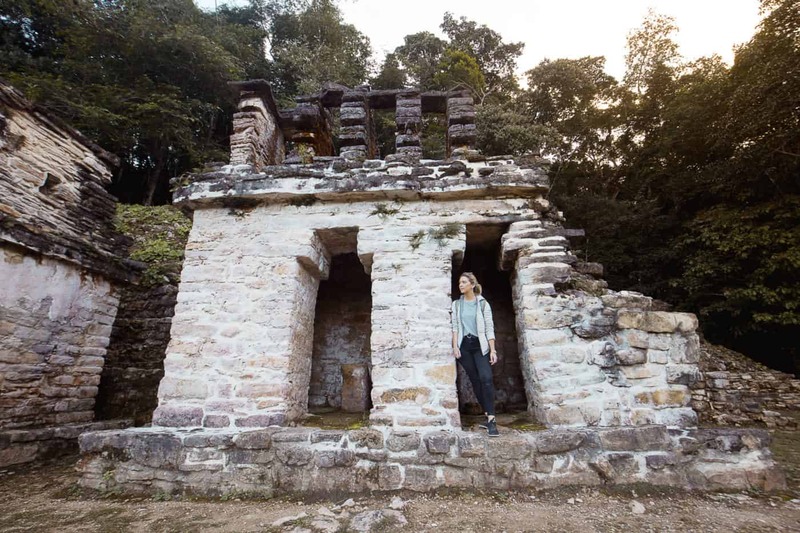 Chiapas is home to some of the best Mayan temples and ruin sites in Mexico, as well as some breathtaking waterfalls and some of the best cenotes in all of Mexico. Despite the number of things to see in Chiapas, very few tourists visit the region beyond the Palenque ruins and Agua Azul waterfalls, and we mostly had everything to ourselves. Recommended read: A 2-week Mexico itinerary for first-time visitors. Mexico is a HUGE country! But even though that’s the case, you don’t need to stick to just one city, state or region. The easiest way to travel around Mexico is by plane – nearly every city has at least one airport and flights are usually fairly affordable. I’ve had great service from Aeroméxico (and they’ll count towards your SkyTeam miles) but there are several other carriers offering regular internal flights. If you don’t want to worry about checking in, or just want to see the impressive Mexican landscapes, the public buses are an even more affordable way to get around. The buses are very safe and first class buses are rarely full, so you can usually turn up on the day, but you can book in advance through a local travel agent if you want to be sure. The final – and, in my opinion, the best – way to get around Mexico is by renting a car. Lots of the coolest places in Mexico are a little out of the way and having a car will make it a lot easier to get to them. In Chiapas, it will be almost impossible to see some places (such as the INCREDIBLE Las Nubes) without a car. As I’ve just said, renting a car is the best way to get around and see some of the best places in Mexico, but that doesn’t mean it’s easy. In fact, it’s kind of a pain. We booked a car online a few weeks in advance and hoped it would be fairly straightforward to collect it, despite what we’d heard from other travellers. When we headed to the airport, it was anything but straightforward. The staff member as the desk tried to change us to a different car in the same price bracket, but charge us a lot more for it – and more than the listed price online. When we asked for the price advertised on their website, he said he had to speak to his manager. The manager said he was on his way to the airport… and by this point we’d given up and moved on to the Mex counter. In the end, we lost $14 – the holding deposit we’d paid for the booking. We had a much better experience at Mex and the staff were really honest and helpful, so I’d recommend booking with them if you do rent a car in Mexico. The one thing you need to be careful with when renting a car in Mexico – apart from awful sales people! – is insurance. You cannot rent a car in Mexico without liability insurance, which you’ll need to buy on tops of any existing policies or credit card insurance you already have. It will probably cost you more than the price of the rental itself, and unfortunately there’s no way around this, but it might be cheaper if you book in advance. If you can take out liability insurance in your home country before you leave, you’ll avoid the high rates in Mexico. Just be warned that the hold placed on your card will be higher – possibly as high as $2000 – but you’ll get this back as soon as you return the car. There’s no reason to avoid driving in Mexico and I never once felt unsafe. If you do drive in Mexico, as long as you stick the paid highways (cuotas) as much as possible and never drive at night, there’s no reason why you would have any trouble. Layers – Especially if you’re visiting Mexico City. The weather can change quite drastically from day to night in Mexico, so packing layers will cover you (literally) for all hours of the day. Insect repellent – You won’t want to visit Mexico without a good insect repellent. I didn’t find the mosquitoes too bad – even in areas that had mosquito nets over the beds – but it’s a good idea to wear it as a precaution. A Spanish phrase book – Knowing a little bit of Spanish will go a long way in Mexico. It may border the USA, but many people don’t speak English and appreciate any Spanish words you can speak. Having some kind of phrase book or a picture book (I recommend this one) will help you make yourself understood. Moisturiser – I found my skin got really dry in Mexico, especially during our three days in Mexico City, so you’ll definitely want to stay moisturised while you’re there! 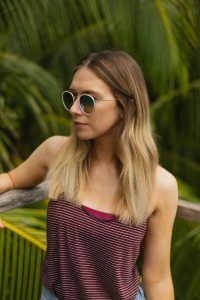 Dry shampoo – The showers aren’t always powerful (or particularly warm) and sometimes I had to go days without washing my hair because of it. Pack some dry shampoo so you can freshen up, especially if you’re travelling around and staying in different hotels. You can pay for most things by debit card or credit card in Mexico, but it’s still a good idea to always carry change. It’ll come in handy for tips – which you should always give to waiters, doormen and other staff who help you – but you’ll also need change for public toilets, too. Public toilets in Mexico are very clean but will nearly always cost five pesos. Most places accept both dollars and pesos, but always pay in the latter for a better rate. This could apply to almost any place in the world, but Mexicans are some of the most approachable people I’ve ever met while travelling. Even if there’s a language barrier, don’t be afraid to ask questions – Mexicans love to talk about their local area and share tips with travellers. Unlike some places, where tourists are seen as an inconvenience, every person we met was proud to tell us about their country and excited that we wanted to see it. One of the best things about travelling to Mexico is the food! Whether it’s Oaxacan chocolate or Chiapas coffee, Mexico has some of the best food in the world. The Oaxaca region is a particular paradise for foodies, but you’ll find amazing food all over Mexico, and it’s easy to try thanks to the heavy street food culture. Mexican street food is both affordable and delicious, and I generally prefer it to restaurant food in Mexico. Wherever you find yourself, you won’t have to venture far to find tamales and atoles for breakfast, tortas for lunch, tacos for dinner. 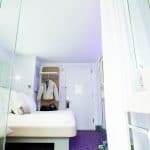 YOTEL New York: An Affordable Hotel Near Times Square?